IN-LAW APT/AU PAIR with 1bedroom &full kitchen! Come visit this custom built by owner, meticulously maintained with 3000 sqft of finished space executive home in coveted Newcomb Mill's Estate. 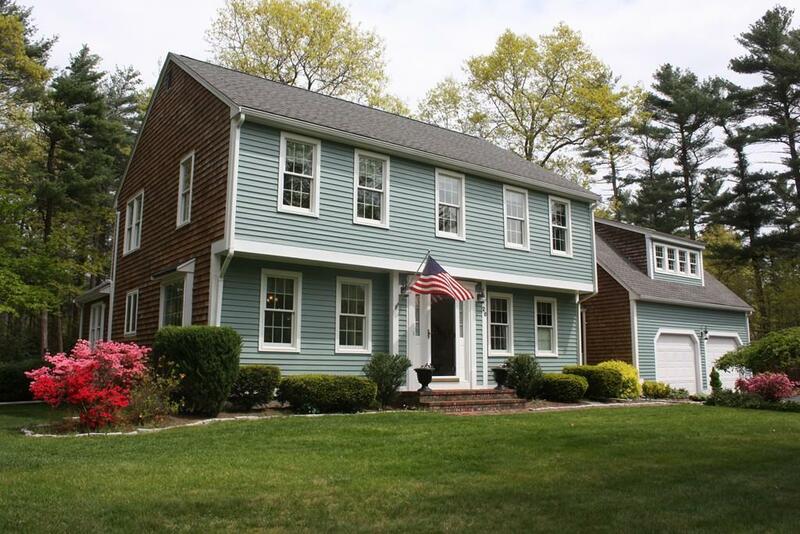 Minutes to commuter rail and highway, 1, 2 way between Boston and Cape Cod. This home has it all, charming and bright in law apt with full kitchen over garage, level landscaped acre + lot with in separately fenced in-ground pool, cabana and outside shower, spacious updated kitchen open to vaulted great room, 3 season sunroom leads to patio. Large level manicure lot with privacy, gleaming hardwoods, fresh paint, plantation shutters, central vac, formal dining room, study, large master bedroom, full dry partially finished basement with workshop. Too much to mention. Newcomb Mill's Estate is a stately established neighborhood minutes to the commuter rail for a 40 minute ride to Boston, close to route 3, historic Kingston and shopping all convenient. Come discover Kingston.